Few contemporary filmmakers have been chronicling the immigrant experience with as much tenderness as Aki Kaurismäki. His 2011 film, Le Havre, touched on the subject through its tale of an African boy who stows away on a Finnish ship, and is taken in by an old man. It was a beautiful film, but one that feels even more timely now in the face of the Syrian refugee crisis. So Kaurismäki reworked the plot of Le Havre into The Other Side of Hope, a direct comment on the plight of Syrian refugees. Instead of an African boy, the subject here is an adult Syrian named Khaled (Sherwan Haji), who stows away on a boat to escape the violence in his hometown of Aleppo. After his request for asylum is denied, he goes on the run, where he meets Wikström (Sakari Kuosmanen), a traveling salesman who has just left his wife to make a living on his own. Their paths cross after Wikström buys a hole-in-the-wall restaurant that he tries unsuccessfully to transform into a bar, a sushi place, and an Italian eatery, with increasingly laughable results. Despite his unsuccessful efforts to become a restauranteur, Wikström endeavors to help Khaled in any way he can, including helping him track down the long lost sister he left behind in war-torn Syria. 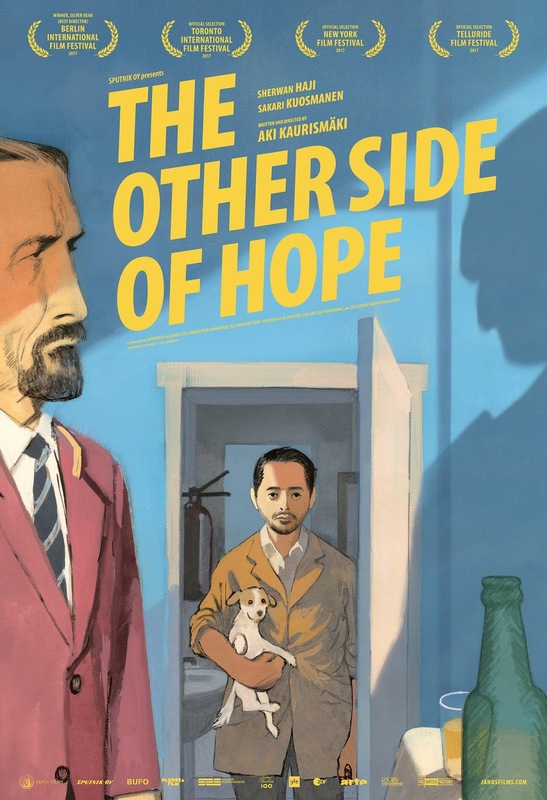 Despite its heavy subject matter, The Other Side of Hope is a gently comic tale of disparate souls united by a common humanity. Kaurismäki's typical deadpan sense of humor highlights the absurdity of his characters' respective journeys, showing the relative ease with which the white Wikström fails upward, stumbling into success through sheer luck, while the arguably more talented Khaled faces constant prejudice, mistrust, and hatred. The refugee crisis has been just as controversial in Europe as it has been here in America, and Kaurismäki examines it as a consummate humanist. Khaled is denied asylum despite clear evidence that sending him back to Syria would endanger his life, while the citizens of Finland, many of whom are arguably less qualified for their jobs than the hard working Khaled (personified here by Wikström's hilariously lazy employees), that will never understand the obstacles the refugees have overcome. 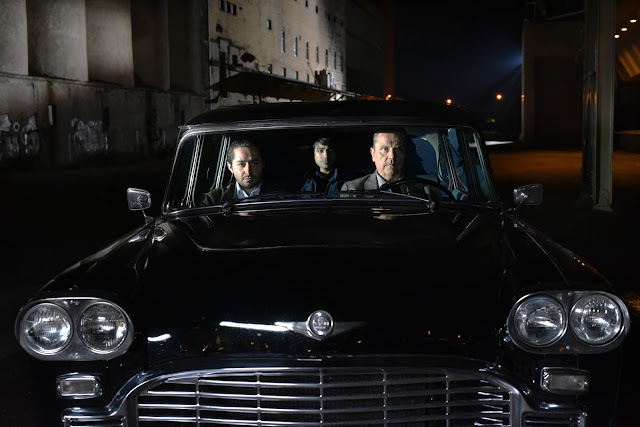 Kaurismäki has stated that The Other Side of Hope is the second part of a planned trilogy with Le Havre, loosely titled the "refugee trilogy" (originally the "harbor trilogy" but changed due to current events). It ultimately feels like a lesser companion to Le Havre, but it also feels more urgent, repurposing plot elements from the previous film to directly comment on the current crisis. While it takes a bit too long to throw its two lead characters together, it isn't without reason, even if the result is a bit structurally awkward. But it wouldn't be a Kaurismäki is awkwardness weren't at the forefront, and his dry visual wit remains as sparkling as ever. Kuosmanen, who has been a frequent Kaurismäki collaborator ever since 1985's Calamari Union, is perfect as the stone-faced Wikström, while Haji, an actual Syrian refugee who came to Finland in 2010, gives the film its resolute heart. It may not have the same emotional impact as Le Havre, but it's hard to resist the amiable warmth and bittersweet sense of melancholy Kaurismäki employs in order to engender empathy from his audience. That is, perhaps, the finest achievement of The Other Side of Hope - taking a controversial, hot-button topic, and whittling it down to the humanity beneath the rhetoric. THE OTHER SIDE OF HOPE | Directed by Aki Kaurismäki | Stars Sakari Kuosmanen, Sherwan Haji, Simon Al-Bazoon, Janne Hyytiäinen, Nuppu Koivu, Ilkka Koivula | Not Rated | In Finnish w/English subtitles | Now playing in select cities.